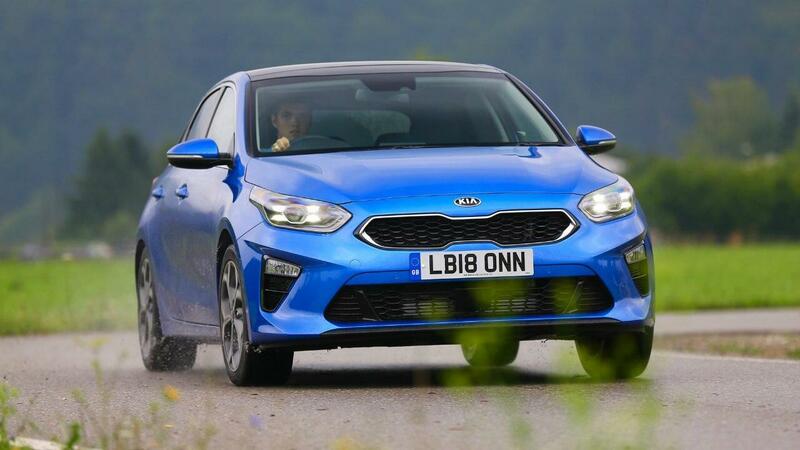 It’s Kia’s third generation Ceed that carries on the legacy of the past, in that improvements have been made all round and no-one should feel ashamed if one of these is on their buying list. 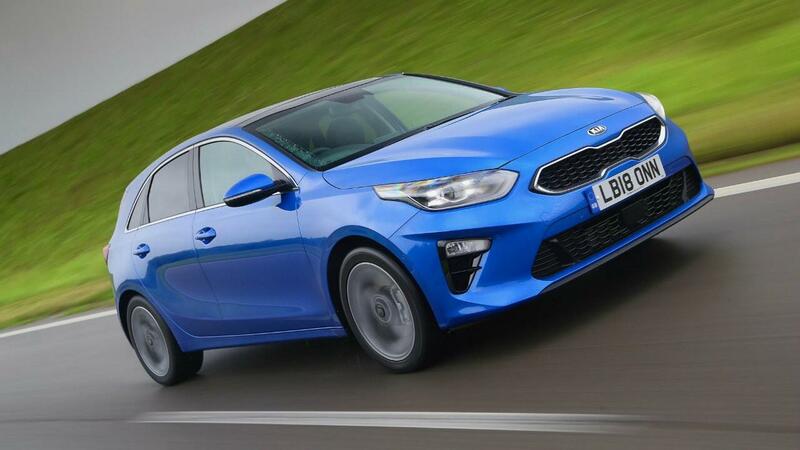 It’s a time-worn cliché with Kia these days, but only because it’s so true – some of the cars it produces are about as good as anything else out there. Nothing to rock the boat or set the segment on fire, but everything made better. As Team Sky would say, it’s all about the marginal gains. So, we have the usual five-door hatch and the usual selection of petrol and diesel engines. Again, nothing revolutionary. There are two petrols to choose from – either a 1.0-litre T-GDi turbo or an all-new 1.4-litre T-GDi lump. Power is either 118bhp or 138bhp, 0-100kmph is either 10.9 or 8.6 seconds and both are available with either a manual or 7-speed dual clutch transmission. The diesel is new as well, the 1.6-litre engine now producing 138bhp and 241nm. Economy figures? Unfortunately, not all of these are available at the moment. 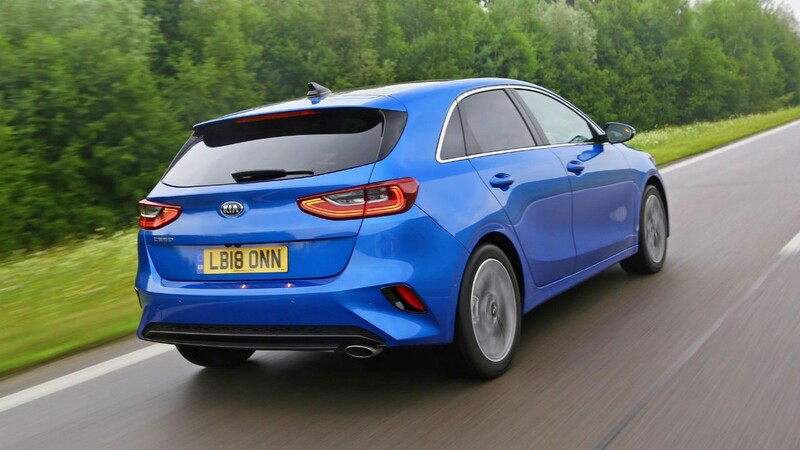 Kia is struggling as much as every other car manufacturer with the new WLTP testing procedure, but what we can tell you is that in base trim, the 1.0-litre does 22.2kpl and 122g/km, the diesel does 31.5kpl and 99g/km and the 1.4 manages 20.7kpl and 132g/km. Precise figures for some of the other trims aren’t available yet. None of these figures are groundbreaking, but they’re all in the area they need to be. Price-wise, it still offers value for money because of the kit that comes as standard, but it’s no longer got quite as much daylight between it and rivals. That’s the price you pay for the improvements. It’s all wrapped up in a Peter Schreyer/Gregory Guillaume design that, to our eyes at least, looks as sharp as any other hatch out there. One thing though - we’d avoid the red paint. Blue is the way to go. What’s impressive is the level of refinement in all the engines. The 1.0-litre has that nice 3-cyl thrum going on, the diesel is whisper-quiet at all points except idle or when you really push it (and who does that in a diesel? ), and the 1.4 petrol disappears into the background nicely. 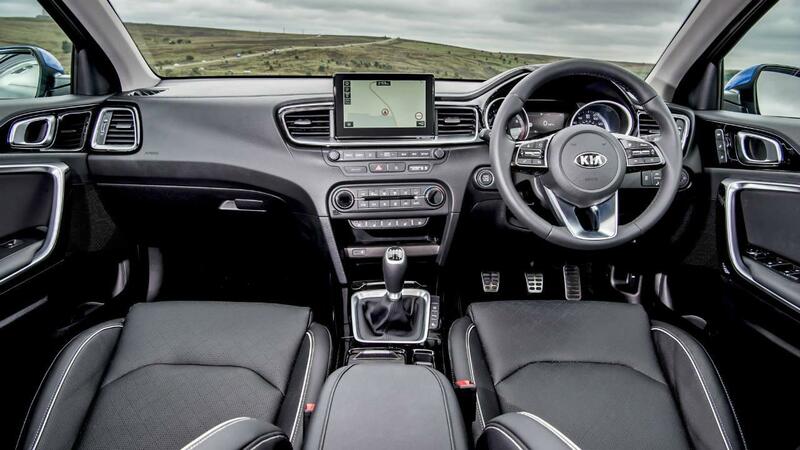 Kia has gone to great lengths to make the Ceed as refined as possible because it’s packed in more sound insulation behind the dash, above the wheel arches, and even beneath the cabin carpets. Nothing revolutionary, but it all helps. Our choice of engine? The 1.4, please, as it offers the best compromise between pace and economy. Responsiveness is generally good across all three, but the gearing is a fraction too long in fifth and sixth on the diesel and 1.0-litre. Fine for motorways when you’re zinging along at 110kmph plus, but on back roads, there’s a bit too much gear changing needed for our liking. Uphill sections don’t help the little 1.0-litre in particular. But it’s the handling that lets the Ceed down most. First, though, the good news. It’s comfortable, soaks up bumps easily and mostly wafts along with the sort of nonchalance that would make a boring commute bearable. It’s generally a good isolator from the world outside, although the 17-inch wheels aren’t as comfortable as the 16s. But there’s not much connection between driver and machine, and everything feels a bit synthesised. 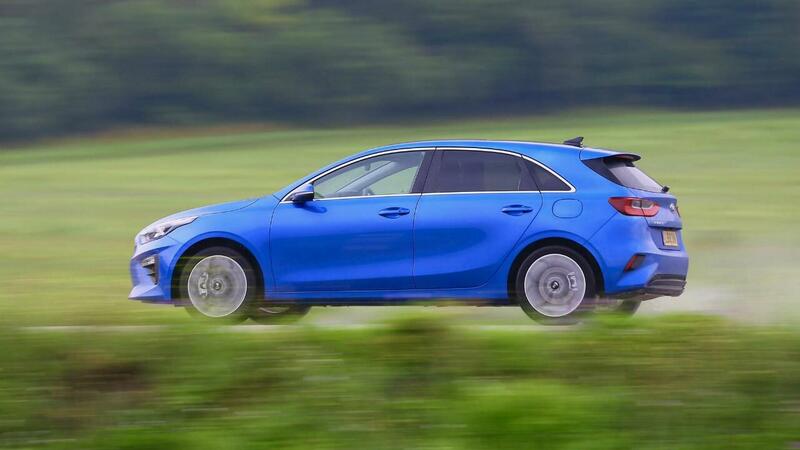 It’s arguable that this doesn’t matter on a family hatch and it’s certainly far better than Kias of old. But the last little bits of chassis finesse are missing, despite the inclusion of a torque vectoring system that brakes the inside wheel in a corner. Picture that one time where a back road opens up in front of you, all the drudgery of life clears away and you fire up the tarmac, adjusting the car as you’d like with either a throttle tweak or a steering shift. Not quite Vanishing Point, but you get the picture. The Focus has this sort of manoeuvrability but the Ceed doesn’t - it’s these fine margins that the Ceed can’t quite nail. The Ceed has joined the floating touchscreen brigade, so that’s the first thing that greets you when you jump in. It’s got all the usual paraphernalia of Apple CarPlay and Android Auto as standard even in the base model, plus things like DAB, Bluetooth, cruise control, auto lights, heated door mirrors and a reversing camera. Kia is also majoring on safety kit in this Ceed as well, with tech like lane-keeping assist or driver-fatigue warning as standard. The higher trim grades get an eight-inch screen as standard, while the top spec ‘First Edition’ gets the full kitchen-sink treatment. There are even heated rear seats in this one – the kids have never had it so good. The quality is top drawer. A leather steering wheel, handbrake and gearstick are standard on all variants, all feeling good to the touch and there are plenty of soft plastics around the cabin. 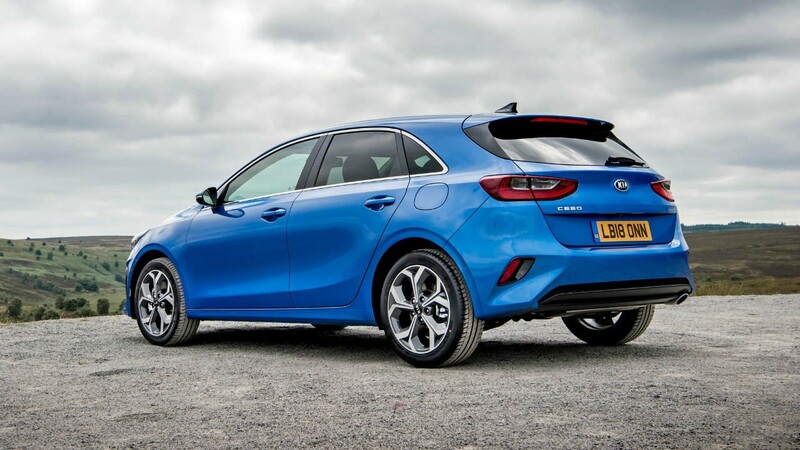 The key thing is the major touch points have a decent weight to them – nothing jars, nothing feels like Kia has scrimped too much. Even the indicator ‘tick’ has a pleasingly damped sound. If we were going to really nit-pick, it would be that the VW Group is still a couple of points ahead. It’s getting closer by the year, but Kia misses that last little bit of solidity that Volkswagen seems able to inject. Still, it’s a close-run thing. Space is generally good inside: four adults will comfortably fit, boot space is on a par, if not marginally better, than rivals (395 or 1,291 litres depending on how you arrange the seats), there are loads of cubbies up front – you get the picture. It all adds up to a competent bit of kit. As we’ve mentioned before, the new WLTP testing procedure is causing all sorts of problems for manufacturers because they simply can’t get the tests done in time for all the cars being launched. And Kia is no different. What we do know is that running costs are similar to rivals. The diesel is the eco champion with 31.5kmpl and 99g/km, but if you don’t do huge numbers of miles in a year, you won’t go wrong with the petrols. Even the thirstiest 1.4 should still do approaching 800 kilometers to a tank. As with every other Kia, the new Ceed comes with a seven-year warranty. Kia Care is also available, which is a series of service plans so that you have a bit more certainty about your costs going forwards. Kia has also added a new seventh service to the package, so you can cover the services for the length of the warranty. "Kia improves things yet again. Refinement, styling and interior quality are nearly as good as anything out there. Nearly…"
The Ceed has matured into something approaching the top of the class – if nothing else, the lack of the ridiculous apostrophe scores it a couple of extra points. This is as close as Kia has ever been to European rivals, with the sort of refinement and quality that the VW Group had a monopoly on not that long ago. If you want your Euro-hatch to be comfortable, reliable and come with enough tech to make every commute more manageable, you won’t go far wrong with a Ceed. However, if you want to have fun on the occasional journey when the car isn’t loaded with kids or you’re not stuck in traffic, then look elsewhere. Otherwise, though, a fine effort from Korea.